Substance use disorders (SUDs) occur in every socioeconomic class and racial and ethnic group and require a comprehensive approach to screening.While there are evidence based screening tools validated for internal medicine settings, more research is needed to determine best drug use screening approaches in OB-GYN settings. Recommendations from a 2012 Centers for Disease Control and Prevention Expert Meeting on Perinatal Illicit Drug Abuse highlight the need for universal drug screening during pregnancy, and many professional organizations—including the American College of Obstetricians and Gynecologists—recommend it. Using a validated screening tool can help detect substance use that can lead to adverse long-term outcomes in infant growth, behavior, cognition, language, and achievement (Viteri et al., 2015). Several studies have shown the efficacy of screening, brief intervention, and referral to treatment (SBIRT) for pregnant women using alcohol and tobacco; this approach allows tailored treatment for women based on their pattern of use (Wright et al., 2016). In addition, limited, but promising, evidence suggests that brief interventions reduce illicit drug use among women in the postpartum period (Farr, Hutchings, Ondersma, & Creanga, 2014). 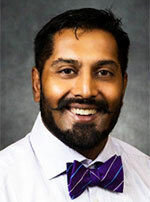 Dr. Khan leads a family medicine primary care residency program in California. His goal as a primary care provider and addiction specialist is to integrate addiction curricula into residents’ training. He hopes to increase and enhance the experiences residents and the next generation of providers have with treating substance misuse and addiction. Dr. Khan offers these tips for screening for substance misuse in the family medicine setting, with special considerations for screening pregnant women. He encourages you to consider these recommenations if you are just getting started or looking for support in these areas. Familiarize yourself with the SBIRT model. Easy to follow and integrate into practice, the SBIRT model can provide a good foundation for screening and referral procedures. Select screening tools. Screening pregnant patients every trimester using a validated tool can help identify risk for substance use. Dr. Khan uses the 4 P’s Plus tool, which has been validated for use with obstetrics patients. The NIDA Drug Screening Tool can be used to determine a patient’s risk of misusing prescription drugs. Browse the NIDAMED chart of screening tools to view several tools for use with nonpregnant patients. Include screening in the medical assistant (MA)/nurse workflow. This step removes biases and decreases time constraints for providers. Offer brief intervention messages. In Dr. Khan’s practice, the MA or nurse begins by offering brief intervention information, which the provider reinforces during the patient’s examination. Help patients to manage their SUD. Make an appointment for them to see an addiction specialist. The Substance Abuse and Mental Health Services Administration’s (SAMHSA) Behavioral Health Treatment Services Locator can help you identify local treatment programs that can determine the best course of action. Or visit the American Society of Addiction Medicine website to identify an addiction specialist in your area. Consider obtaining a waiver to prescribe buprenorphine. Visit the SAMHSA website to find training resources. Connect with experts. Contact the University of California at San Francisco Clinical Consultation Warm-line to obtain support from addiction treatment providers in managing your patients.